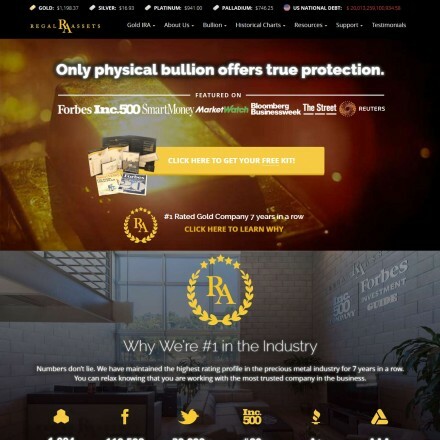 We are a 18 year old, full service precious metals firm specializing in gold and silver products ranging from bullion to rare gold coins. 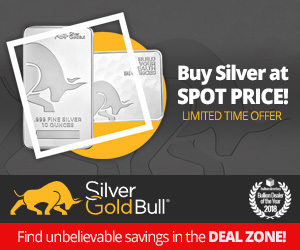 We strive to assist each client in meeting their goals when investing in precious metals. 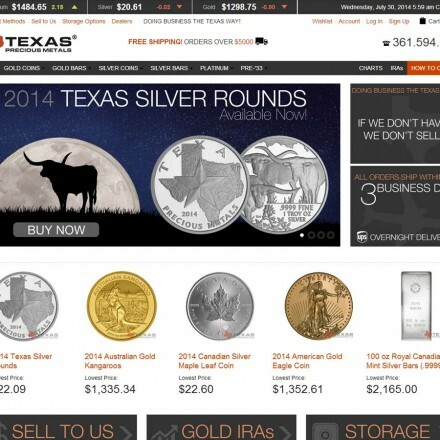 ITM Trading are a long established national precious metals dealer, selling bullion bars and coins as well as numismatics, rare and collectible coins from their base in Pheoniz, Arizona. 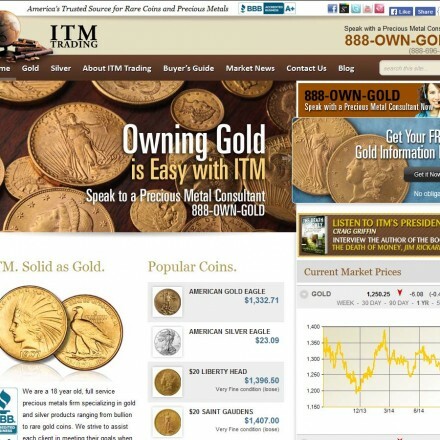 The ITM site is easy to navigate and all information is clear and easy to locate. Contact information is available on all pages and all legal policies are present and correct at the site’s footer. The e-commerce function follows standard pattern so all in all a very easy site to navigate. Some font sizes are very small, but dark text on a white background should make all information legible to all but the most visually impaired. ITM have multiple 5-star reviews on Google+, Yellow Pages and at BBB with some small independent review sites also rating them highly. Bullion.Directory recommend that any complaints should be made directly to ITM Trading in the first instance – their customer care line is 800-846-2577. 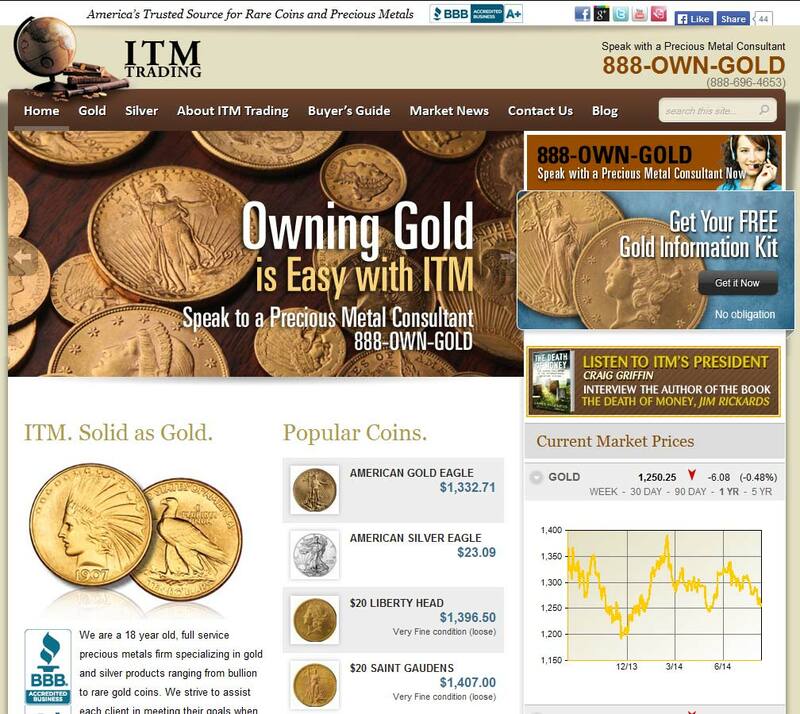 When doing business with ITM Trading - please say you saw them in Bullion.Directory. Read or add ITM Trading reviews and ratings using the "reviews" tab above. All ITM Trading details are believed to be correct at the time of listing. Please report errors here. I tried to place my first order with ITM and their system charged my credit card for the purchase, but then instantly kicked the payment back to my card. That may sound like no big deal but it put a pending charge on my card and they did this 12 times, which maxed out my credit card. I tried working with them for 2 days as they kept blaming my credit card for the error. After 2 days, they stopped returning my calls.